Wanna get free tickets for this grand party on September 5? Don’t miss #GlobeUnleashed, the biggest and hippest dance event in Manila that will make its way to the Queen City of the South. Head on to the South Road Properties (SRP) Grounds, Cauit Island this Saturday starting at 5:30 PM. Catch a roster of top Manila and Cebu DJs as they pump up the beat from dusk ’til dawn on an 11-hour non-stop party treat! Excited already? You can purchase tickets at P300 for walk-ins but wait, you can get it for FREE. You can go to the Globe Store in Ayala Center Cebu and avail of a Globe Prepaid sim and top up. 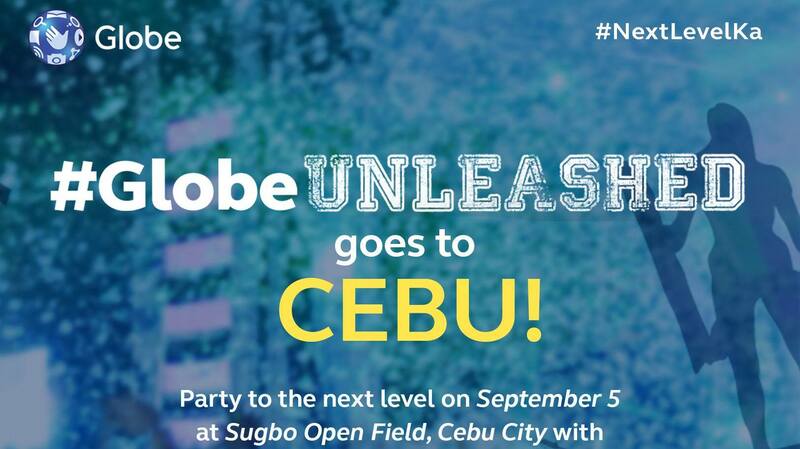 To give you a preview of the event, check out these Instagram posts from the #GlobeUnleashed party in Manila. Oh by the way, DJ Mars Miranda will also be giving FREE spinning lessons at the Globe Store in Ayala Center Cebu on Saturday, September 5, from 5 to 7 PM! If you are an aspiring DJ, it’s your time to learn from the best.